Weekly goals check list: Sí, Se Puede! I put this together to give my students a focus each day for the week. I'm going to use this to conference with students at the end of the week. Students are going to keep this and use it everday for goals and guidance through out the week. If you like my work please rate me :) Thank you. 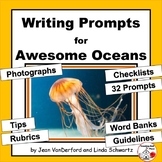 Writing Prompts: Awesome OCEANS, Guidelines, Tips, Rubrics, Checklists, Vocabulary Word Banks Writing Prompts for Awesome Oceans with ocean photographs for creative writing. 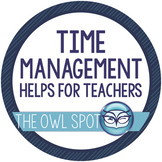 tips, rubrics, checklists, 32 WRITING PROMPTS with word banks, guidelines, elements . . . and more . . It is important to keep track of the standards you have completed as a sense of accomplishment. 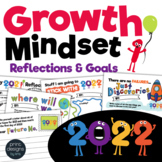 If displayed as a poster in your classroom, the students can see the expectation for the school year and make their goals a reality and make what they are learning purposeful. 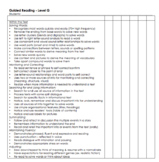 While running a guided reading group or a DRA assessment, you can use this sheet as a quick record and assessment checklist to record a student's learning goals, accomplishments and future needs. I use these one per month per student as a means of tracking growth and for reporting purposes. This activity is for the beginning of the school year. 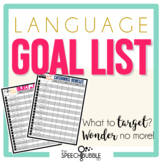 It allows students to create a bucket list and create academic goals for themselves ************************************************************************************************** This activity goes with the book: "This Year will be the Best! This is a check-list I laminated and placed on my class door. This is the first thing students see upon walking up to my classroom door. The goal is that this will help remind them to bring all necessary supplies to class! Students can self-monitor their mastery of TEKS, as well as create goals! Many uses for this!